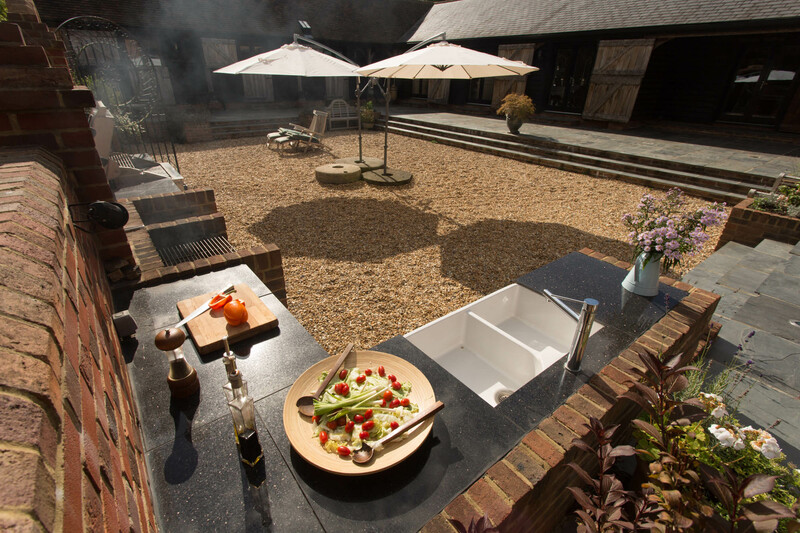 Outside cooking and dining couldn’t be easier. 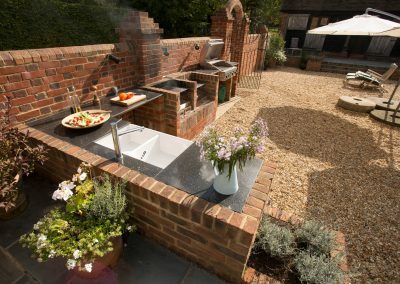 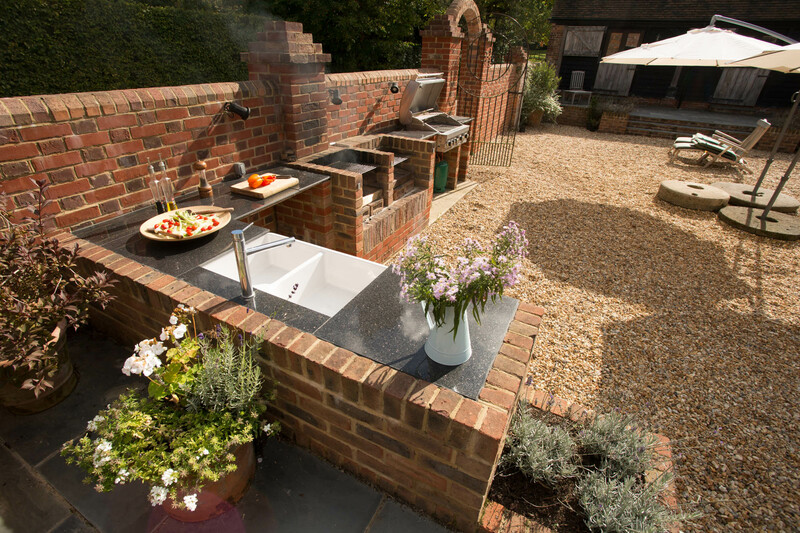 The outdoor kitchen includes a brick built charcoal barbecue, a gas barbecue for vegetarian cooking, a sink and granite work surfaces. 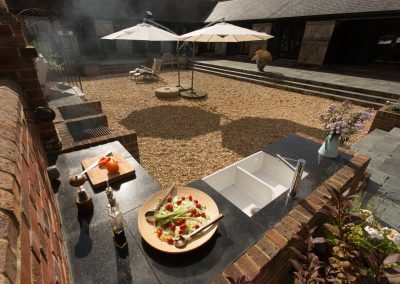 Teak furniture for dining, benches and sun loungers. Gas, charcoal and firelighters provided. 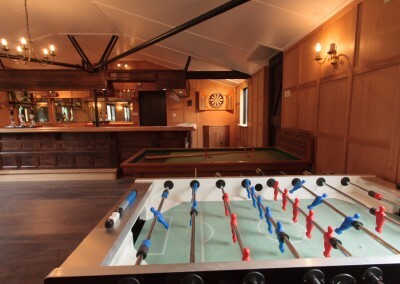 Outdoor draughts and table tennis are situated at the front of the property. 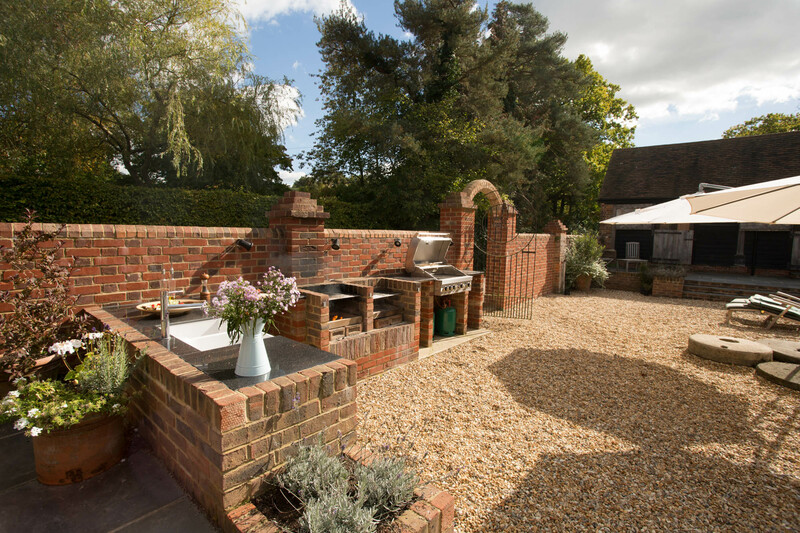 Feel free to explore the kitchen garden. 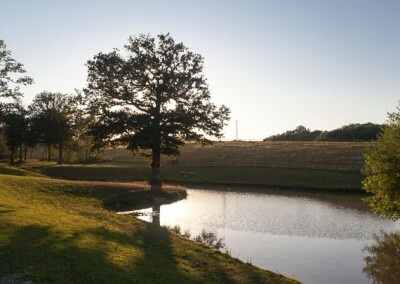 Fruit and vegetables in season will be made available to you. 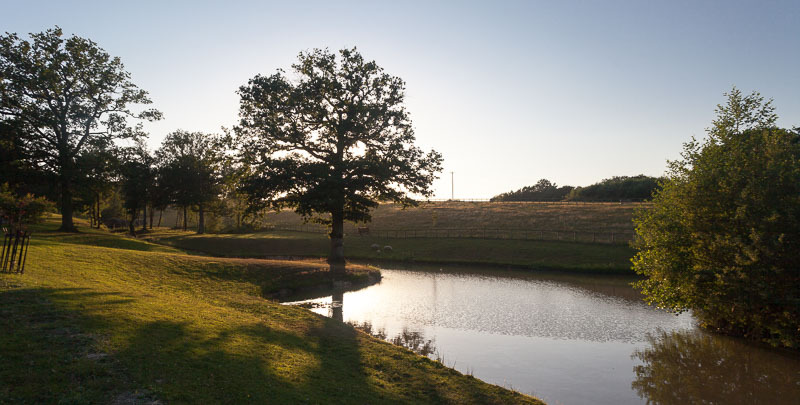 Also, eggs can be collected from the chicken house. 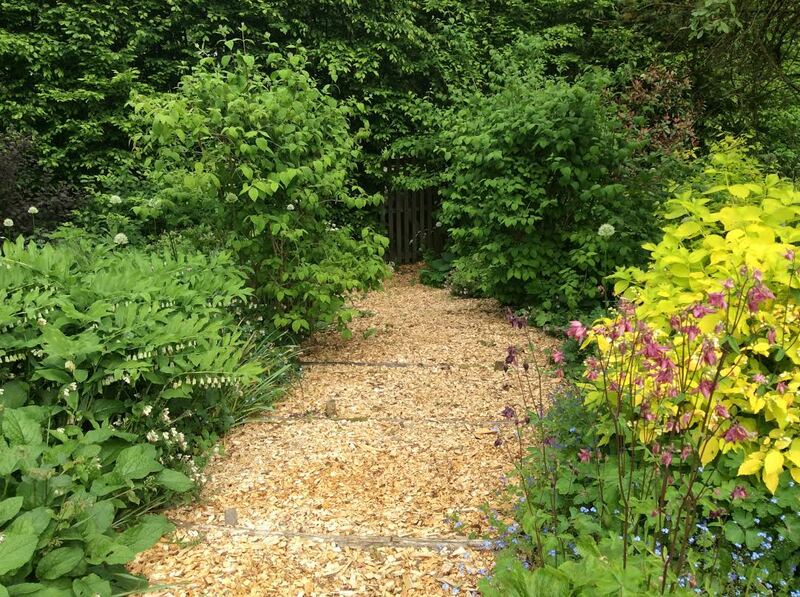 The roses are a delight in during the summer. 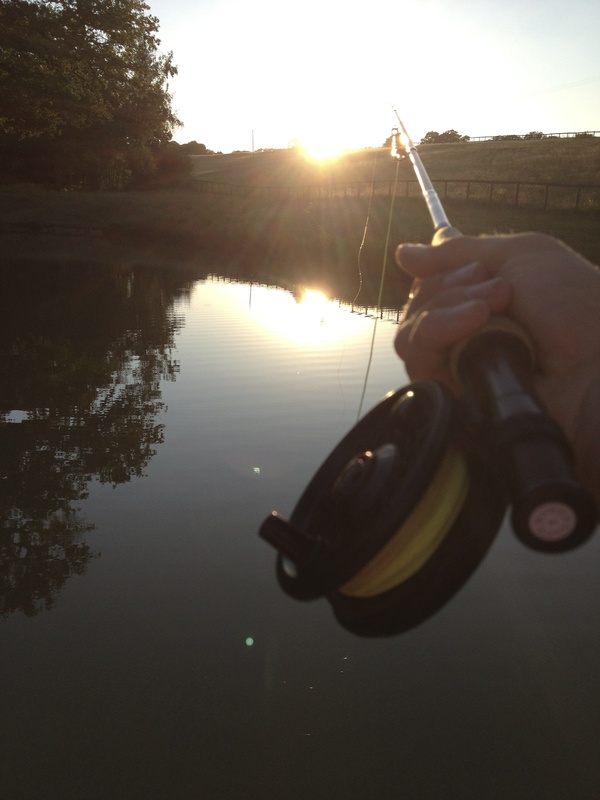 Bring your fishing rod and some bait and see who can catch the biggest fish in our small lake, just don’t forget to throw them back. 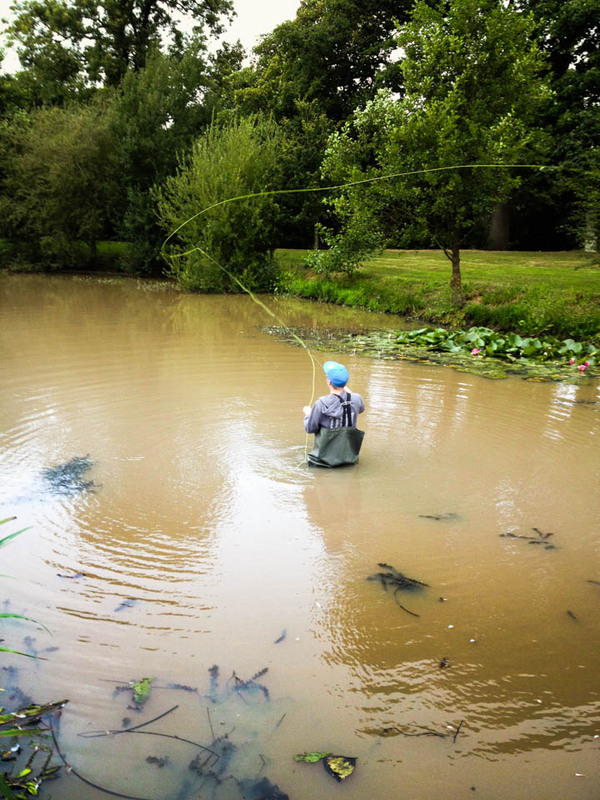 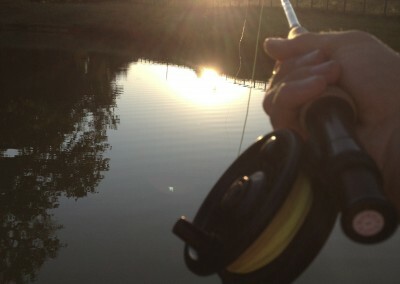 It is stocked with trout, carp and coarse fish. 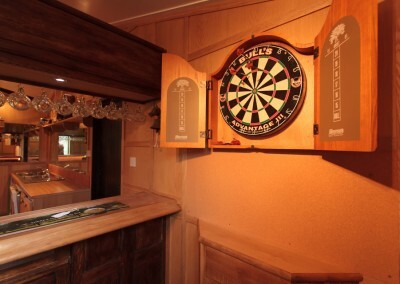 There is a rowing boat on the lake which can be used. 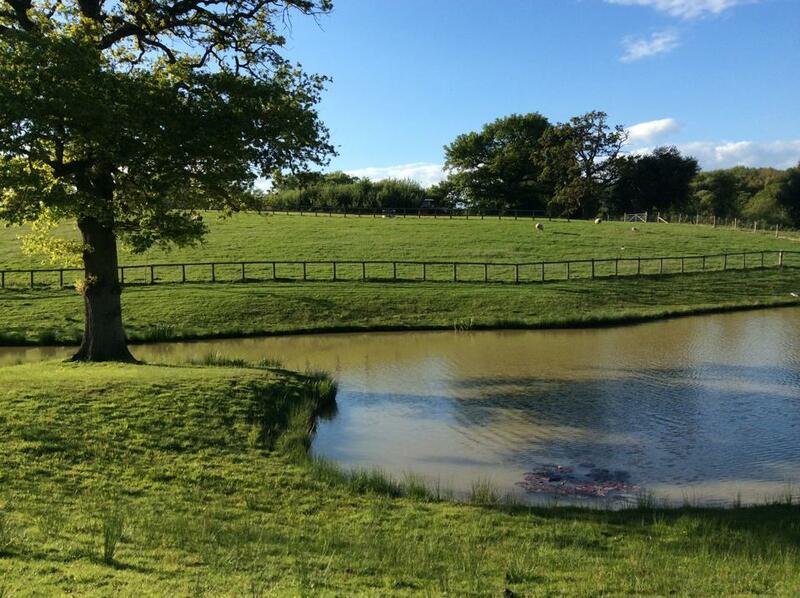 It’s also a lovely spot to have a picnic. 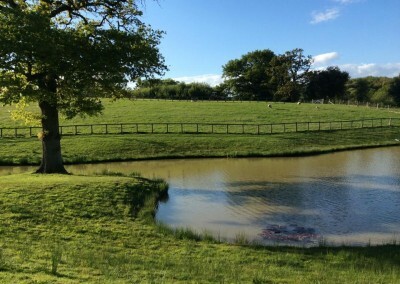 The Stables leads directly to miles of public footpaths and woodland walks. 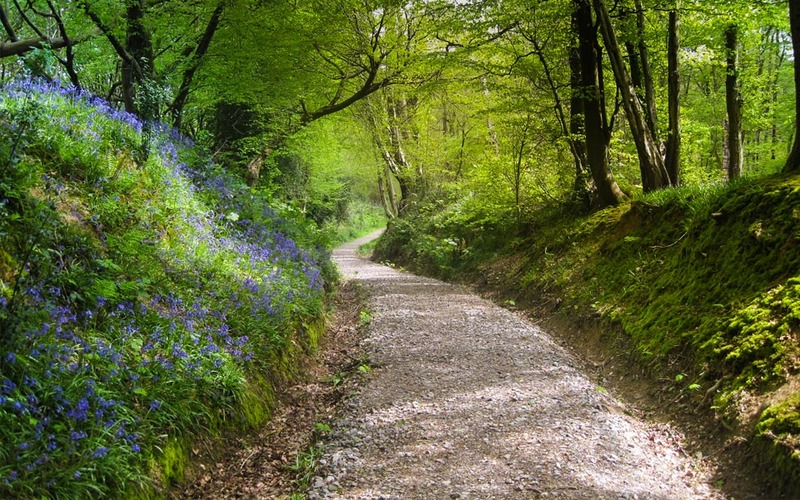 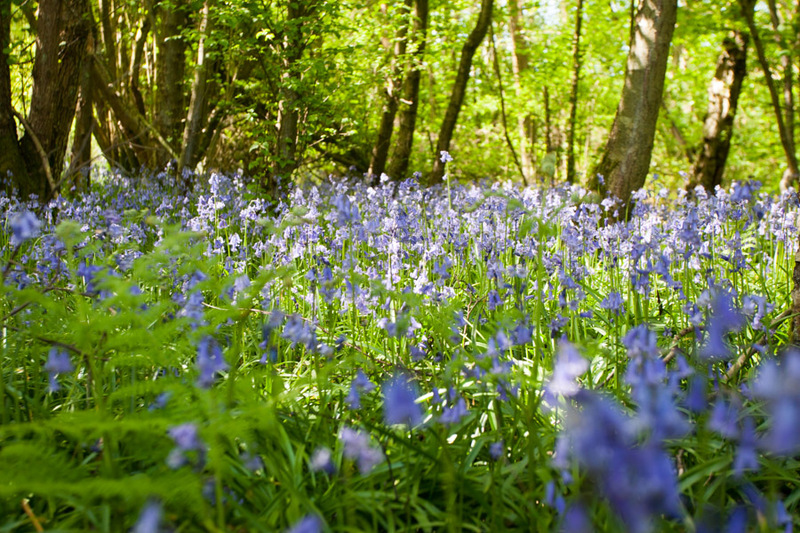 The display of bluebells is especially delightful during the Spring months. 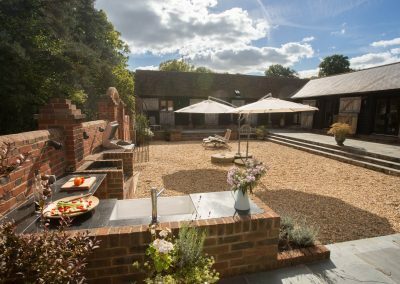 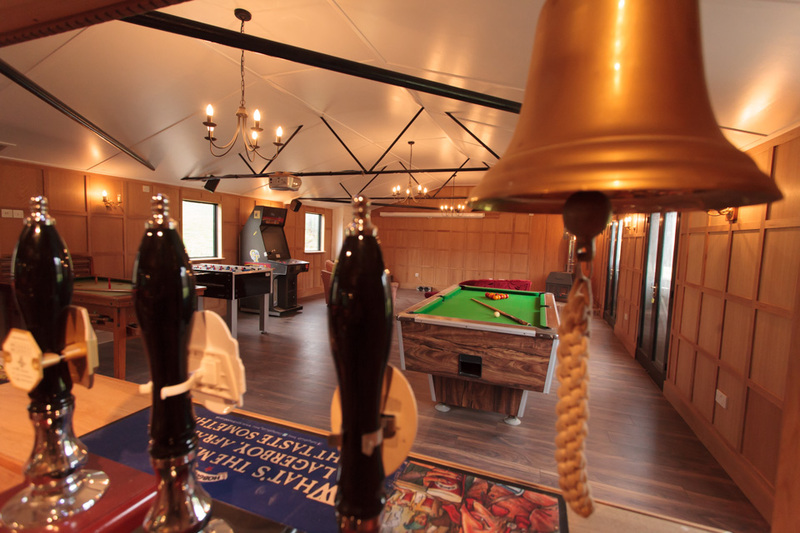 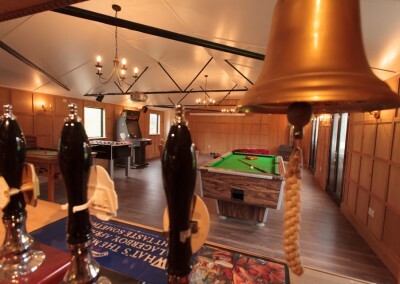 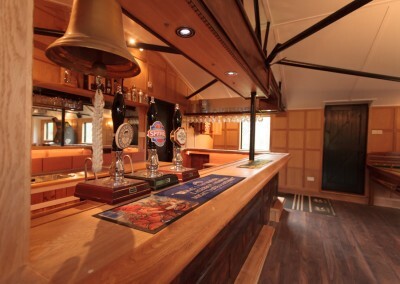 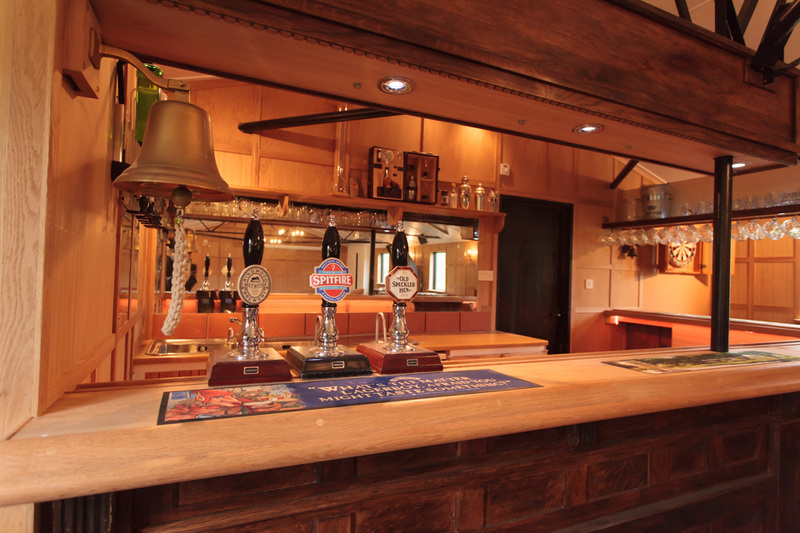 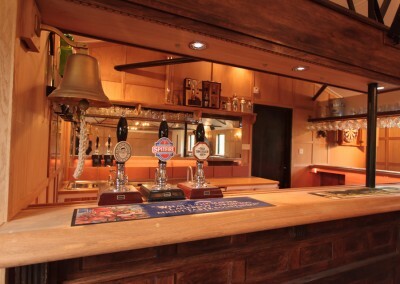 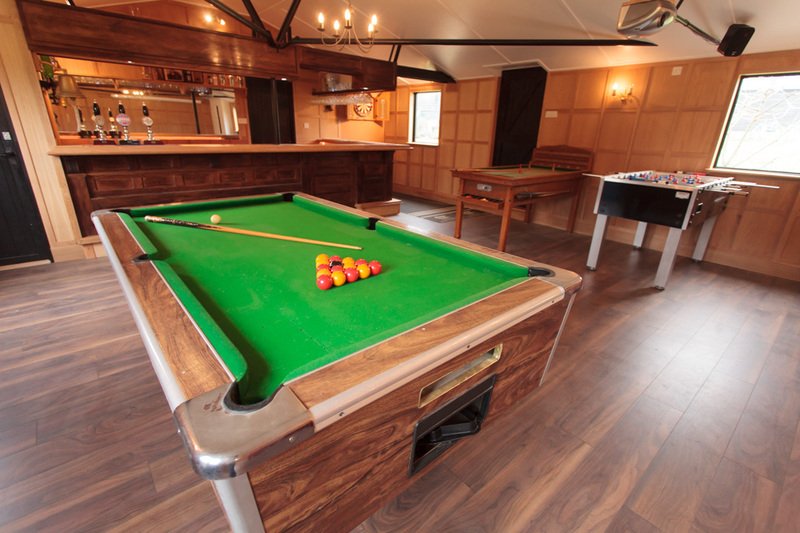 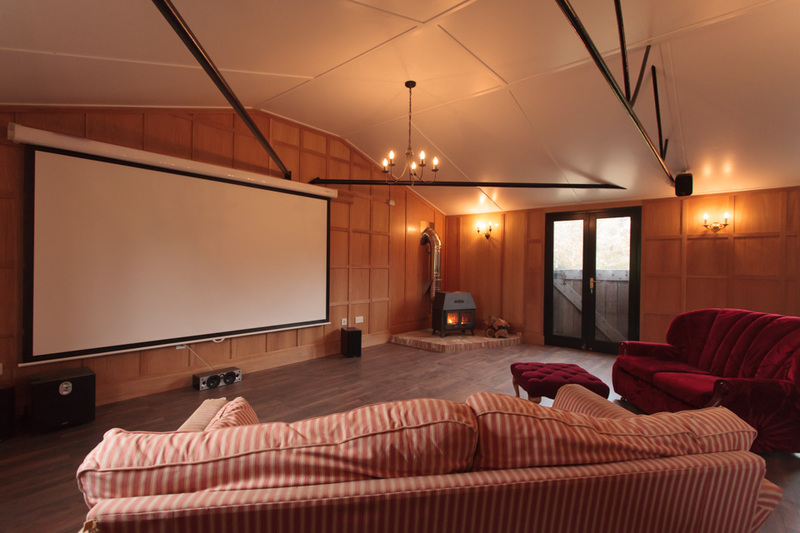 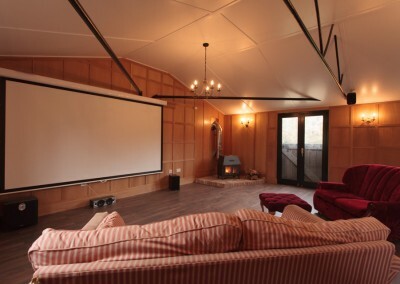 The Games Barn with a bar area has been lovingly built within the grounds of Merrieweathers. 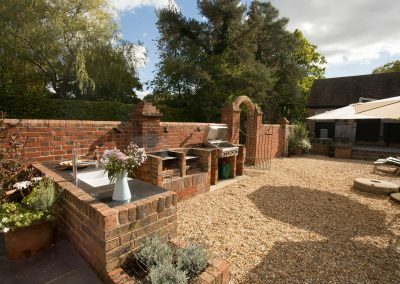 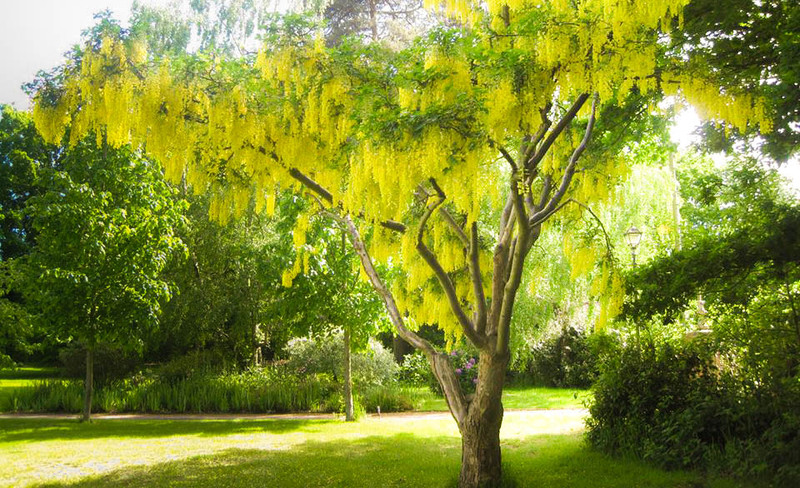 It is 75 yards from the Stables and is accessed through the kitchen garden. 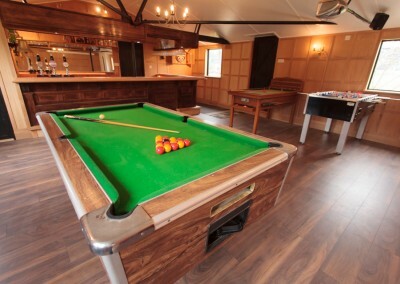 Facilities include pool table, darts board, table football, bar billiards and cinema screen (DVD player). 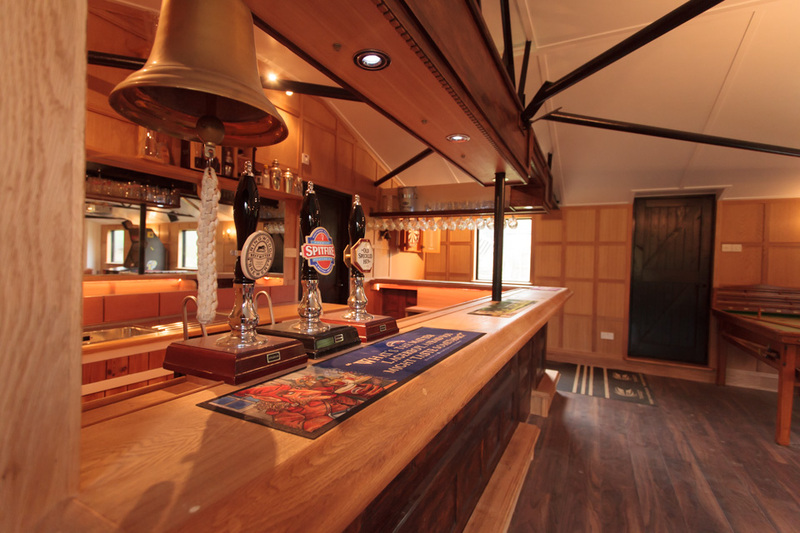 The bar area includes optics, (holds up to 1.5 litre bottles), beer pumps (ale only), an ice-making machine, a fridge, a dish washer and sink. 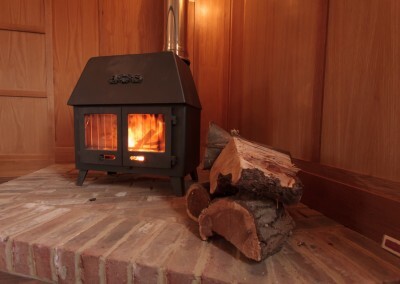 The barn also has a cloakroom, underfloor heating and a log burner. 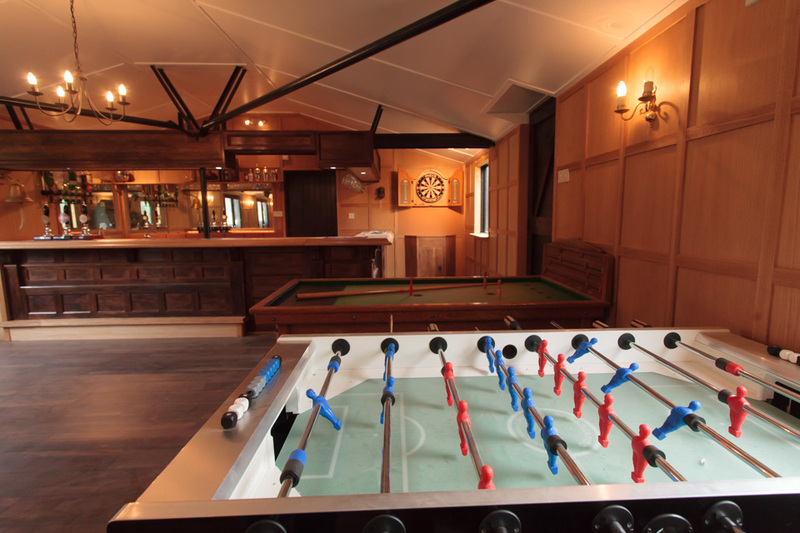 The games barn can be used at any time during your stay, but due to close proximity of neighbours there should be no noise disturbance after 11 pm.